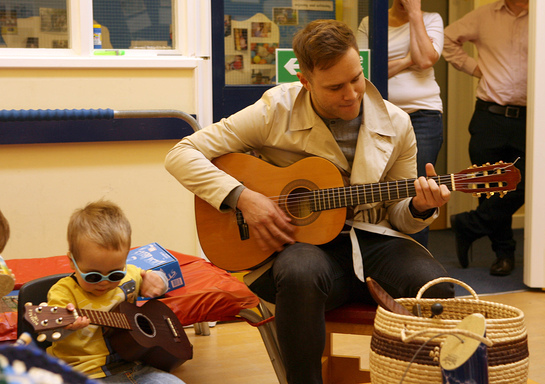 Singer, songwriter and TV presenter Olly Murs delighted children and staff at the Royal London Society for Blind People’s (RLSB) award-winning Dorton House nursery, when he dropped in as part of the 2011 BBC Children in Need program. 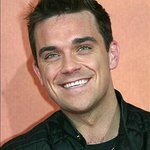 The children achieved an ambition shared by thousands of fans, as Olly sang and played at the RLSB’s nursery for blind and partially sighted children in Sevenoaks, Kent. Olly took time out from his busy schedule as XTra Factor presenter to sing with two-year-old Harvey Webb, from Tonbridge, Kent who has Achromotopsia, a rare condition which prevents him seeing fine detail. Also joining in the fun was another two-year-old, Leo Lake, from Chelmsford, Essex, who has Leber’s Congenital Amaurosis, a condition which means he is extremely sensitive to light. Music is a major activity at the nursery, which has repeatedly won an outstanding rating from the Ofsted inspectors and which aims to give blind and partially sighted children the best possible start in life. Children in Need has already provided the RLSB nursery with toys and equipment for music therapy and for the services of a baby massage therapist. This is a specialist and highly effective service which is used to calm distressed young blind children.